25°0’S, 153°0’E, Hervey Bay, Australia, a long way out to sea, a distant soft moan triggers an unexpected response. Several humans fall to their knees and place their ears on the empty hull shells of the aluminium boat. We smile, cry and call out in wonder. We hear a whale singing. Coghlan, A. Whales Boast the Brain Cells That ‘Make Us Human’. 2006. 12 December 2012. www.newscientist.com/article.dn10661-whales-boast-the-brain-cells-that-make-us-human.html. ‘Daring Rescue of Whale off Farallones’. 2005. 29 January 2013. www.sfgate.com/bayarea/article/Daring-rescue-of-whale-off-Farallones-Humpback-2557146.php. Encyclopedia of Earth. Whale Communication and Culture. 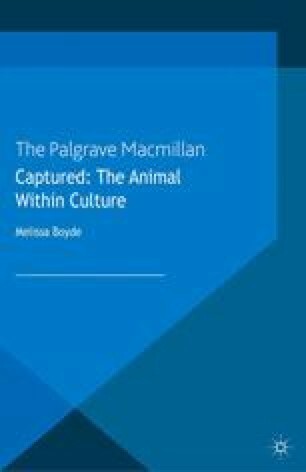 12 December 2012. http://www.eoearth.org/article/Whale_communication_and_culture. Martinelli, D. ‘Zoomusicology and Musical Universals: The Question of Processes’. TRANS Revista Transcultural de Música 12 (2008). http://www.sibetrans.com/trans/a95/zoomusicology-and. Russian Orcas Homepage. Killer Whale Acoustic Behavior. 2010. 21 September 2010. http://www.russianorca.com/Orcas/sounds_eng.htm. Science Daily ‘Secrets of Whales’: Long-distance Songs Are Being Unveiled’. 2005. 12 December 2012. http://www.sciencedaily.com/releases/2005/02/050223140605.htm.